The Drikung Mahayana Center is combining with the Drikung Dharma Surya Center, uniting Garchen Rinpoche's centers in the Washington, D.C. metropolitan area. Our Dharma activities are not ending. Rather, we are simply working with our Vajra brothers and sisters under the Drikung Dharma Surya name. 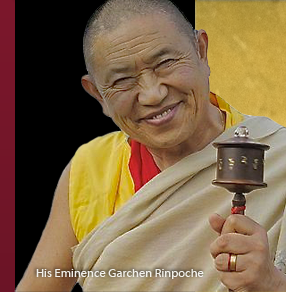 View the ☯ authorizing letter from Garchen Rinpoche. For efficiency and to avoid confusion, we will be closing this website and directing searches to the Drikung Dharma Surya Center. May the Dharma and our Center flourish. Thank you in advance for your continuing participation and support of Garchen Rinpoche’s Dharma centers and activities.